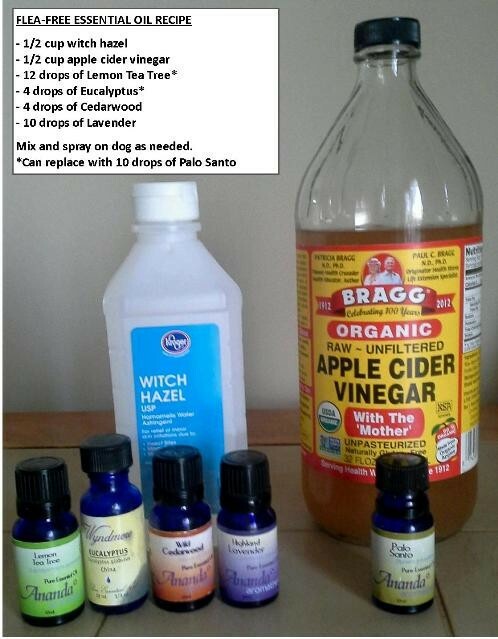 Most flea remedies use harsh and sometimes toxic chemicals. There are some eco-friendly options that are safer for your pet and the environment. This is a guide about eco-friendly flea remedies. To keep fleas at bay, you can spray your pet and the bedding and carpets with Wintergreen scented rubbing alcohol. It's an easy, inexpensive solution for an occasional flea. I use a topical flea preventative, but I still saw a few fleas from time to time until I tried this. Give your dog brewers yeast daily. Use 1 tsp per 30 pound dog. Mix in food. Brewer's yeast can be found at most health food stores. It works really good. Cut 6 lemons in half, boil a quart of water, add lemons to water and let steep for a few hours. Then strain the solution into a spray bottle. Spray on pet's fur; do not use on the face. You can also apply spray to your hand and rub on your pet's fur. The simplest way to get rid of fleas on your pet is to shampoo it. It doesn't have to be a special flea shampoo. Any shampoo (or liquid soap, like Dawn) will do since any shampoo will suffocate the fleas. Use 2-3 cups of dry 20 Mule Team Borax in a colander to sift it in carpeted rooms. Leave it for 2 weeks for their life cycle to finish before you vacuum. Does any one have a home remedy for a flea allergy on my dogs tummy? Sally needs something to help her now. I've used sprays and shampoos and she will still scratch and chew. It only takes 3 or 4 fleas to start. 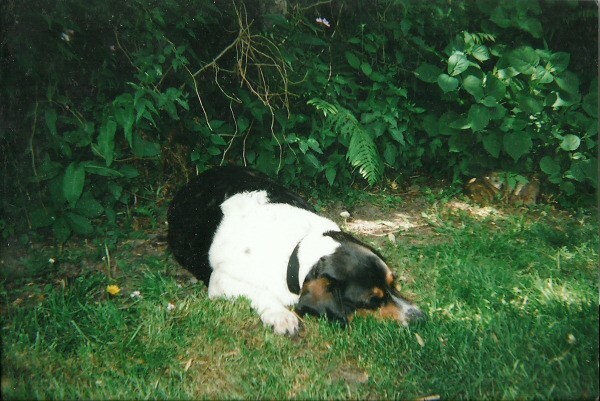 I don't have a picture of her, but she is half Border Collie. p.s. would oatmeal rub help? If it's just on her tummy it may not be a flea allergy. It could be a food allergy. Please read my former posts. You need numerous things. Borax the house for flea control, build immune system, diet change and itch control. One flea can set off a flea allergy that is really miserable. Poisons are not the answer. Poisons enter the liver and kidneys. There are natural solutions that work in the long run. The allergy might have started with a vaccine. With no disrespect to you or the "post" advise the person you should be talking to is your Veterinarian there are several well recommendable products available but this could be caused by other issues if fleas are only on one particular part of the animals body. Good luck. Use Frontline or other produce to Prevent fleas before they get there. 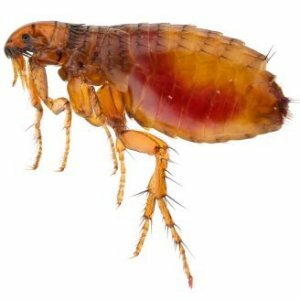 How to get rid of fleas from yard and house and pets. Eco friendly remedies, please. Dawn dish soap. Works well. Very I have been putting on the floor shallow bowls of water with a little dish detergent around the House it's amazing how many you can catch this way, I picked up some sergeants cat Shampoo to give my new C.C. Boy a bath, he was covered with Fleas, it seems to be keeping them off of him.1 thing I did since it work so well on him I'd put about 3 tbsp. When we lived in Fl we were bombarded with fleas. The vet told me to give my Chihuahua baths with any dish detergent and the secret was to keep it on and sudsy for at least 10 minutes - which drives the dog nuts - she hates baths, but it works at killing the little beasties. He also told me to sprinkle a bit of garlic powder on her food. I know many people believe garlic is bad for dogs but it worked for her and she is now 16 years old and as feisty as ever! I don't think it's all that expensive, and a little goes a long way and would probably be perfect for the house and yard. Also- I too have heard that a good old fashioned bath with Dawn dish detergent can help, along with getting a flea comb to try to comb some of the critters out! Put some brewer's yeast and/or garlic into their food. It helps control fleas. Dry 20 mule team Borax - about 2 to 2 and a half cups in a colander to sift into carpeted rooms. That's the average room. Leave for 2 weeks for life cycle to finish before you vacuum. No fleas for at least a year and a half. Late 80's Flea busters was charging $250 to go through a small house with this very same 20 Mule Team Borax guaranteeing it to be non toxic. Average yard - scatter cedercide granules, a natural product. A little goes a long way. 5 pounds lasts more than a year. Order online. Build your pets immune system with good foods. Some raw is best but forget the Purina and go specialty foods with no corn wheat or soy. 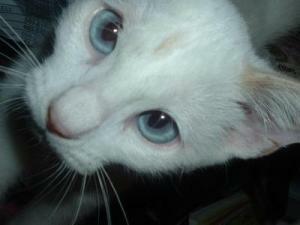 More expensive but they eat less and feel better because their nutritional needs are met. No vaccines to destroy the immune system. Read any anti vaccine site for ingredients in vaccines. Mercury, aluminum. antifreeze, rotting animal parts and loads of disgusting things. Study how often times parvo vaccine gives parvo. Research is beautiful and lifesaving. My dog has sores from biting at fleas. Will the lemon remedy burn if I put it on her? It probably will if your putting in on raw spots. If you have only one or 2 pets then by all means cut out something you can do without and buy the spot on treatment for them. There is no better way to save you and the animal from stress and bites. My cat has sores from scratching where the fleas have bitten her, and these nasty buggers love to bite my kids too. How can I safely treat my cats and kill all the fleas to keep my kids from any further bites? Many commercial flea treatments are made of harsh and sometimes toxic chemicals. There are some natural alternatives. This is a guide about natural flea treatment for dogs.